Carry all your essentials in one pack with help from Under Armour's UA Storm Coalition Daypack. This pack features UA Storm technology that delivers an element-battling, highly water-resistant finish as well as having adjustable, Charged Cushioning® shoulder straps for total comfort. Carry all your essentials in one pack with help from Under Armour&apos;s UA Storm Coalition Daypack. 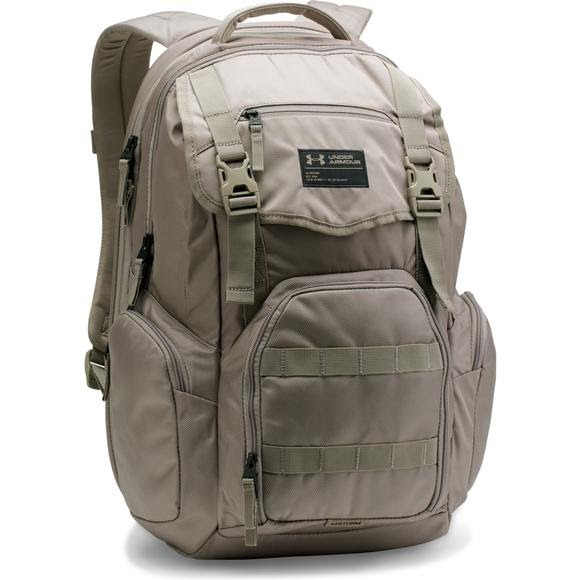 This pack features UA Storm technology that delivers an element-battling, highly water-resistant finish as well as having adjustable, Charged Cushioning® shoulder straps for total comfort. Measurements 20.2" x 13.2" x 8.3"